Last Thursday was a big one in the Liveforce calender. We took our place in the Launchpad at Event Tech Live, hosted in the fantastic Old Truman Brewery on Brick Lane; followed by the Event Tech Awards at The Troxy later that evening. process. Poken brings together the digital and physical event spaces to drive engagement, centralise management and gain better insight through real data. Through Poken’s visitor-driven lead generation model, visitor’s ‘opt-in’ by collecting exhibitor content via touch, at the same time, leaving a digital business card — a really innovative, fast, and practical way to collect information at an event. 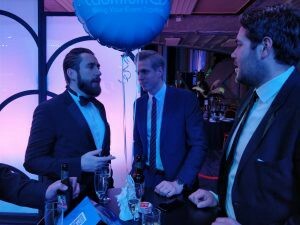 The Event Tech Live app was created by Goomeo, who also won Best Event App at The Event Technology Awards! 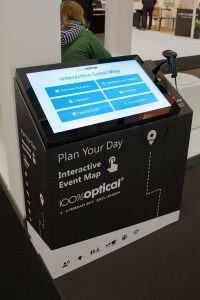 Event Ignite are a fast-growing London based company focused on helping clients enhance visitor experience with responsive digital signage and interactive ‘plan your day’ floorplans. They had this fantastic tech on display at ETL17. Using their floorplans, visitors have a personalised, interactive way to plan their event and quickly find products, vendors, or upcoming sessions. No more aimless wandering around, Event Ignite enable attendees to make the most out fo their day. Event attendees can use their mobile phone to find products or vendors they want to visit, and Event Ignite will give them the best route. Glisser is on a mission to revolutionise presentations by ending ‘death by powerpoint’. They engage audiences, empowering them via their online devices through slide-sharing, anonymous Q&A and live polling. 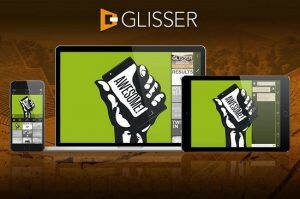 Alongside creating an interactive experience, presenters can break down their presentations’ successes and shortcomings afterwards through Glisser’s extensive data and analytics platform. A mutli-award winning tech start-up, Glisser has been used at every point in the events spectrum, from stimulating discussion in intimate seminars to collecting valuable insights at mega conferences where audiences number in the thousands. They can now add Event TEch Award for Best use of Tech for Audience Participation amoung their acheivements! Leading provider Zenus, brings cutting-edge face recognition to the event industry. Their technology streamlines the check-in process without compromising security. Their cloud-based service can search a database of faces within a blink of an eye and it can be seamlessly integrated into any application. Their goal is to eradicate tickets, making the registration process much more easy, fast, and affordable — no more queues, no more scanning tickets, no more wearbles! Level up your event with Piing and get a room full of people playing, interacting, shouting and collaborating with each other. Your audience joins instantly on their phone (no app download) to control the excitement on the big screen. You set the game playing on the big screen and manage the start of the games using the activity controller, players join using their own smartphones. No matter how many players, from 2 to over 200, all Piing games take event interactivity to the next level. EventsTag are pioneers of experiential technology. Launched in London, but with offices in New York, L.A. and Chicago, they aspire to skyrocket any event’s social media reach through groundbreaking, interactive live experiences. 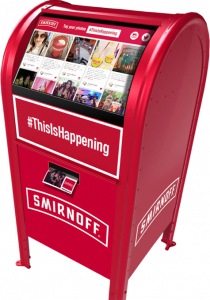 EventsTag experiences aim to give guests unique shareable digital content through products such as their GIF Booth, Slo Mo Station, Green Screen, Snap Mask, and Social Trading Cards. They are fun in nature which organically inspires guests to post their gifs or pics to social media through live interactions. The glamorous ETA’s took place at The Troxy in London. 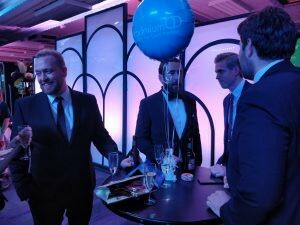 The world of event technology ditched their jeans for black tie as they took their seats for the awards, hosted by comedian Andrew Ryan. Liveforece was nominated for best new tech start-up, and although we didnt win we are very happy for our friends at Zenus who won the award. Congratulations also to Manchester Central who won the Most Innovative and Tech-friendly Venue. Liveforce guys looking dapper for the evening! A big thank you to Adam Parry and his team for organising such a great event. We had slightly sore heads the next day!